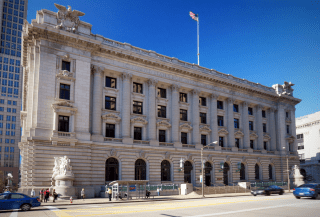 At Fast Appraisals we work with many bankruptcy attorneys and I was just at bankruptcy court today providing expert testimony regarding some questions the court had about our appraisal report (which prompted the blog post). In today’s trial, a real estate investor was filing a Chapter 11 Bankruptcy and needed to determine if there was equity in any of the homes that could be used to pay his creditors. In this Chapter 11 Bankruptcy case it was the intention of the creditor (in this case the bank that held the mortgage) to allow the current owner to hold on to the property and write the loan down to current market value at 100% LTV (loan to value). Two Appraisals. Two Very Different Values. The bank benefits in this case because it isn’t dropping the the property at liquidation value and the owner benefits because they can still retain possession of the home and can maintain their livelihood. The value of the homes in a bankruptcy case is the value as of the filing date, which in today’s trial was 18 months ago. At that time, 18 months ago, Fast Appraisals performed a full home appraisal and submitted the full residential appraisal report. The bank holding the mortgage did the same thing. Because the bank’s appraisal and our appraisal were so far apart in the estimated market value the trial had to be set. Although this was only one of many, many time we’ve been to court to provide our expert testimony regarding a home appraisal, it’s always intimidating walking into the big courtroom with a court reporter, a judge, two attorneys, two interns and the owner of the properties. The other appraiser, the one representing the bank and estimating the house to be worth much more than we had, was in the other room. I wasn’t sure if we would be in a situation to speak to each other and discuss why we both came to such different conclusions on the market value of this property, but we never went head to head. The Bankruptcy Attorney contacted me a few days prior to let me know what to expect and provided a copy of the bank’s appraisal which our I carefully reviewed. Although it isn’t a competition, and we mean no disrespect to the bank’s appraiser, when you have been doing appraisals and running an appraisal business for over 20 years, when you take pride in what you do and stand behind the quality of your work, a situation like this forces you to be extra-critical of your own appraisal report and compare it to the opposing appraisal in question. I was relieved to see from the beginning that the bank’s appraiser wasn’t local, didn’t have the intimate knowledge of the Cleveland area that I do and lacked the formal education in the appraisal industry. When I typically go to court to provide expert testimony for one of my appraisals it’s for a tax appeal appraisal or divorce appraisal so this was my first experience defending my appraisal against another appraiser’s in a Chapter 11 Bankruptcy proceeding. From what I could tell, it seems these events are mostly protocol. I was questioned for 90 minutes but surprisingly answered very few questions regarding why I chose the comps (comparable sales) that led to the value in the appraisal report. The first 15 minutes was to determine my credibility as an expert witness – at which time the Bankruptcy Attorney representing my client was asking the questions. Then I was asked about the other appraiser’s work and I simply let them know why mine was more credible. Then I was cross-examined by the other side and it did not go as well. Luckily, the person asking me the questions was not emotionally invested in the outcome – although a true professional and I had to explain that their case was based on no fundamental appraisal principals. I think it’s important for appraisers to remember that attorneys and judges are not appraisers and when we get called-in to testify about our appraisals it isn’t because we did them wrong – it’s because we need to explain to these people, who aren’t appraisers, why we did them right. That’s why we we’re there. All in all I would say that for this bankruptcy case things went well. I have to say that being an expert witness for home values is another home appraisal service that we specialize in at Fast Appraisals. We don’t market it well or have a page devoted to it on the website but I have been at court a handful of times over the past month. I think because I’m usually doing the appraisals, running the office and mentoring other appraisers that when I get the opportunity to provide expert witness testimony it’s enjoyable to some degree. In this case, and based on my clients results and reactions to my testimony, it was another great success. Posted in Bankruptcy Appraisals, Geauga County, Medina, Ohio, Residential Property Appraisals and tagged appraiser expert witness, bankruptcy appraisal, expert witness property value, home appraisal, real estate appraiser, residential property appraisal.